There are several playlists I listen to on the regular, and on one of those playlists, there are a handful of songs from Tearaway. 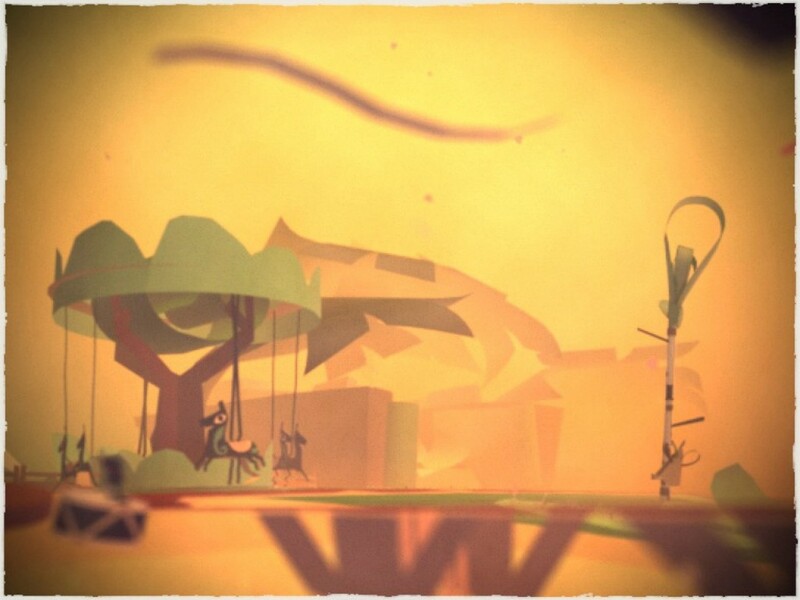 Each time I hear the song “The Message” I recall precisely how I felt at the conclusion of Tearaway: incredibly moved. Moved to so many tears I could barely see my Vita (or keep it dry). So when the song came on again a couple of days ago, I started thinking about some of the emotional moments from games that have had the greatest impact on me. These are a few of those experiences. I am grateful for each. In the narrative of the main campaign of Borderlands 2, Bloodwing, the beloved bird companion to Mordecai, was shockingly killed by Handsome Jack. That moment in the game made me cry, every time (and I played through that game at the very least eleven times). I had loved Bloodwing, and each time I had to watch her demise, I crumbled a tiny bit more and more. It was the moment in the game that I wanted absolute revenge on Jack for what he had done (amongst all his other villainous deeds). When the Tiny Tina DLC was released, I was wary; none of the previous DLC packs for the game had been very good, and I didn’t want to get my hopes up. It turned out to be the best DLC of the bunch, and in no small part due to the story. In it, Tina comes to grips with certain loss, and the process is emotionally charged. 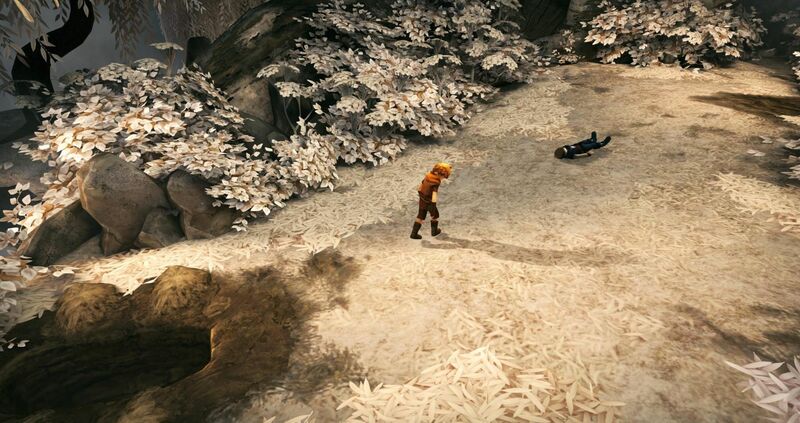 However, it was during the final fight that I broke down. As you are battling the Evil Sorcerer, and things are looking dim, Bloodwing majestically rises to help you defeat him. To see her (I am getting choked up just recalling and writing this!) return in such a way was a tremendous and glorious moment. I had never wanted to remember her at her death, and here she was, in all her beautiful bird glory, defeating the foe who so crudely defeated her. It just felt right. Though her actual return was a creation of Tina’s mind and not of reality, it was the perfect way to close that chapter. 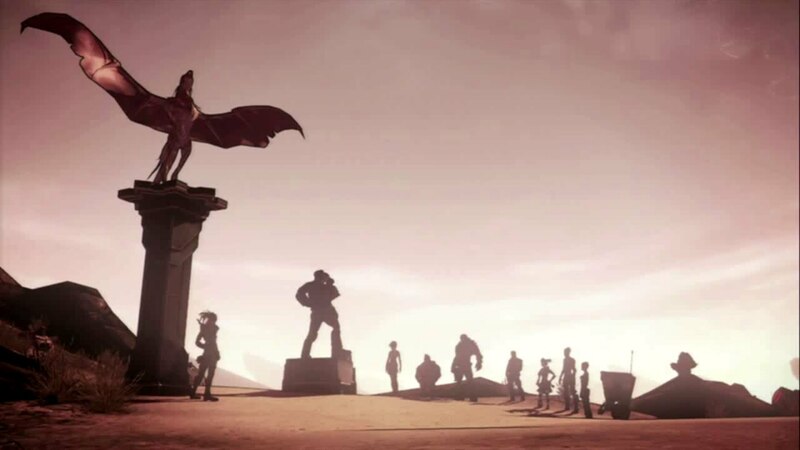 The subsequent scene of the vault hunters with the statues commemorating their fallen was just as moving. Tina was finally able to say goodbye. And that’s never an easy thing to do. Brothers was a game I had heard about vaguely, and each time I saw a screenshot, I reminded myself I wanted to see it in action. One day the game was finally started (and finished, as it is not a long game), and I found the experience quite moving. Until the concluding 30 minutes. At which point I was inconsolable. Throughout the game, the younger brother is a bit of a twerp, and I felt more of a connection with the older brother. The entire goal of the game is to get to a particular tree to find a remedy for your ailing father, which you do, but in doing so, the older brother sustains mortal wounds and dies while the younger brother is at a distance collecting the water that will save their father. 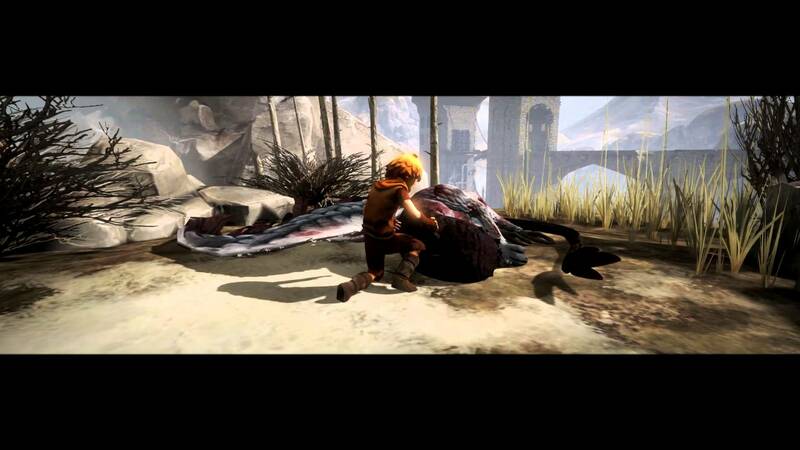 When the younger returns to the elder, he finds him already dead. It is heartbreaking. As someone who deals especially poorly with death, this scene resonated with me in a profound way. As did the following scene. Since they are so far from home, the one must dig a grave for the other. As you manually dig the grave, your brother lays at the far end of the screen; a constant reminder of your purpose. Thinking about it now makes my chest tighten. As someone who has dug a grave for a loved one in reality (my first pup, who I loved beyond words), and had to physically put that loved one in the earth, then cover her back up with it, the scene killed me. I’m honestly not sure a game has caused me to break down in such an inconsolable way. Heaving sobs would not be an inaccurate description. There was a solid half an hour after the game concluded that I just sat with my partner thinking about what I’d just experienced. I have no adequate words to explain the effect it had on me. All I have to do is think of this moment (just to think of it!) and I start crying. 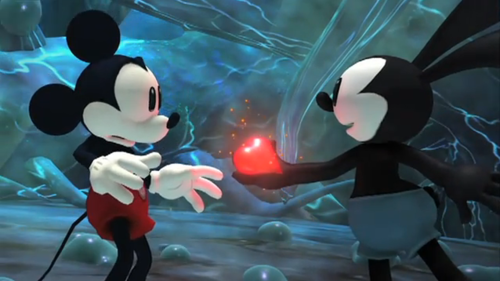 Throughout the game, Oswald has felt slighted by Mickey and all the attention he received over his life that Oswald, himself, felt he deserved. In this conclusion (the “good” ending) he ends up rescuing Mickey’s heart from the evil Blot, and there is this moment. Moment is such a small word for what is conveyed in this wordless scene. Oswald looks at the heart, clings to it in a childishly selfish manner. He wants it for himself so the world will love him again. He resigns to what must happen. He timidly holds it out to Mickey to return it. It is a raw and oddly honest moment in a game I certainly didn’t expect it in. The game wasn’t perfect. There were a lot of issues with the camera and some of the level structures. The ending made the entire experience worth it. Once again, I feel my words have failed to express the beauty of the moment. It was so much bigger than the sum of its parts. But then, most moments are. I did not physically play Journey with my own hands. I did, however, watch the entire game played by my partner. This wordless game was a breath away from a meditation, and indeed, you could “meditate” at certain areas. The story was beautiful, profound, and visually stunning. With the addition of an anonymous companion player who you could only communicate with through “chirps,” the game reminded me of what it was like when I first went to live in a foreign country. You feel so small, so alone, yet you continue on. 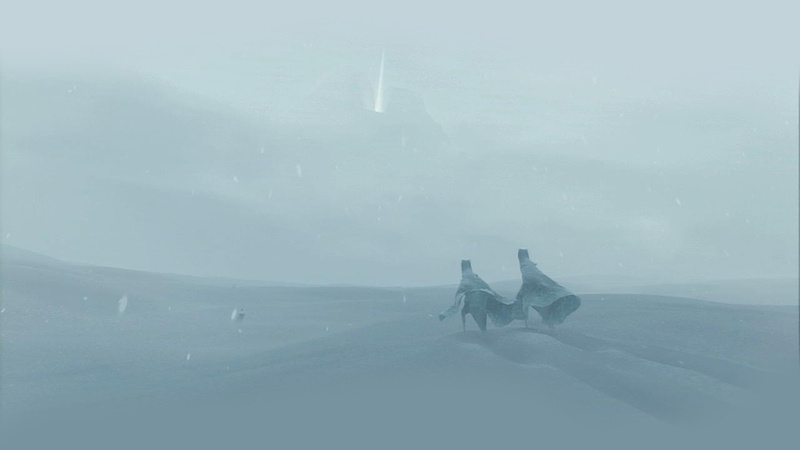 Towards the end of the game, you are pushing on through an increasingly treacherous snowstorm. In this case, my partner and his silent companion were moving slowly through the drift when one of them slowed to a halt, then collapsed into the snow. Then the other. They had died. The suddenness and silence of this moment literally took my breath away. Again, as someone who doesn’t deal well with death, I felt unprepared for that moment of certainty. I just sobbed. The following scene of making your way to the top of the mountain was glorious. All elements came together to create an ending to a game I will never forget. A masterpiece. Just typing “The Message,” made me choked up. To me, Media Molecule nails it every time. It doesn’t matter what “it” is. The whimsy, sincerity, and beauty of their games is exactly what I want from a gaming experience. They play it in spades. The visuals of Tearaway were stunning in their own right (and I dearly wish Media Molecule would release an art book for it), and the music was the perfect companion. The tender, fragile, and melancholy serenade of the squirrels poked at my squishy heart in a way I can’t wrap my mind around. But it was the ending that sealed (or unsealed, as it were) my lifelong love of the game. Throughout the game you are called “The Messenger” as you are an envelope trying to reach yourself (the player) to give yourself that message. At the conclusion, you finally open that message. Your journey presents itself as a beautiful storybook customized to your experience. The sparing prose, beautiful music, and overall experience are humbling, emotional, and unmatchable. I wouldn’t trade that moment for anything. I played this well after all five chapters of season one had been released. I had heard the hype. I knew that your decisions had real consequences within the game. What I didn’t know was how each chapter would weigh on me at its conclusion. This game pulled no punches. There were hard (and fast) choices. Even when I was trying to do what was “best” and “right,” I would feel like my choices had been all wrong and the outcomes weren’t what I intended. I played one chapter each night (until I had played all five), and at the conclusion of each, I always felt I had done everything wrong. I second-guessed my decisions. 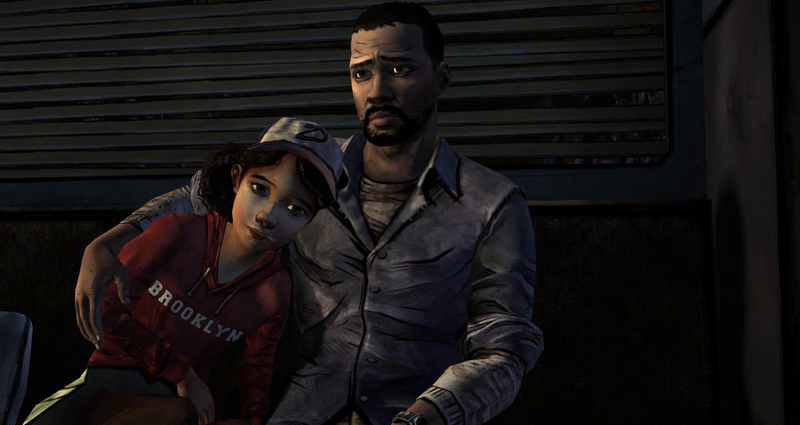 But it was the final chapter, the final moments between Lee and Clementine, that will stay with me. Lee, who only wanted what was best for Clem and had done everything he could to help her, had finally been infected. He knew he would turn in a short time. And you had a choice: tell Clem to leave you before she sees you turn, or ask her to shoot you. I asked her to shoot me. I didn’t want the chance that I could some way, somehow, attack her at a later time. So I had to walk through the process with her, and the whole time, she is sobbing and devastated. She had seen so much by that point. She knew she had to do it. But she loved Lee, and it showed. The scene was so well executed (absolutely no pun intended) and so emotionally painful, it hit me square in the heart. The game, and conclusion, was so much better than I could have imagined. And now that my heart is all over my sleeves, I will round up the pile of tissues on my table and do something silly to bring up my mood after this emotional outpouring. I would genuinely love to hear of your similar experiences, friends. Those moments that resonated and stayed with you long after you powered down your systems. Some games that resonated with me were The Walking Dead as well,Red Dead Redemption,The Last Of Us,Uncharted 2 and Batman Arkham City. oh gosh, the end of read dead was moving. which parts of uncharted2 and batman did you find moving? i’m genuinely curious.